A new week means a new batch of co-op releases. We're starting to wind down a little from the frenzy of the past couple months, but there are two great games out today that are well worth checking out. Nioh makes its debut on the PC as Nioh: Complete Edition, and twin-stick shooter fans should definitely check out Assault Android Cactus on the Xbox One. Nioh: Complete Edition (PC) - supports up to two players online throughout the main missions, and up to three players online in the special "Abyss" mode. Team Ninja's excursion into the realm of a "Dark Souls-like" is absolutely fantastic. While fans of Dark Souls might miss the interconnected world/exploration attributes of that series, the set mission structure of Nioh provides a better way to hop in and out at your own pace. While the co-op play can be a bit a confusing (one player has to complete the specific mission their buddy is attempting before they are allowed to their game), there's a lot of fun to be had. The Complete Edition includes all DLC released for the game. 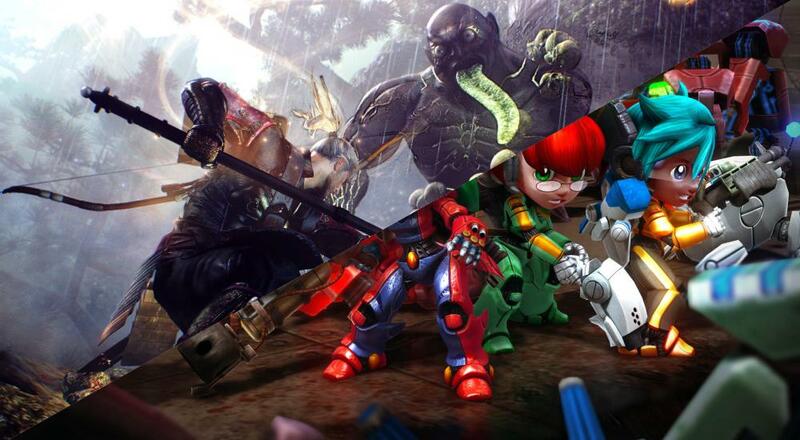 Assault Android Cactus (Xbox One, PS4, and PC) - supports up to four players locally. Within the realm of twin-stick shooters, Assault Android Cactus stands out. It is uniquely charming and its "cutesy" exterior hides a very deep and rewarding gameplay experience. Whether you're a shooter vet or a novice, Cactus offers something for players of all skill levels and ages. New for the Xbox One version are 4k visuals (provided you're playing on an Xbox One X) and a developer commentary track. Page created in 0.5078 seconds.